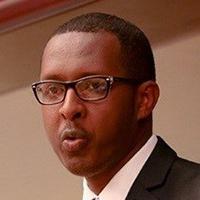 Professor Benyam Dawit Mezmur is an academician and practitioner who specialises in children’s rights law. He is a member of the United Nations Committee on the Rights of the Child, and served as its Chairperson from 2015-2017, and as Vice-Chairperson from 2013-2015. At the regional level, Professor Mezmur continues to serve on the African Committee of Experts on the Rights and Welfare of the Child (ACERWC), a treaty body of the African Union. He served as its Chairperson twice ( 20122014 and 2015-2017), and is currently its special rapporteur on children and armed conflict in Africa. In his full-time post, he is an Associate Professor of Law, and Coordinator of the Children’s Rights Project at the Dullah Omar Institute for Constitutional Law, Governance, and Human Rights, Faculty of Law, at the University of the Western Cape in South Africa. In early 2018, he was appointed as Deputy Dean for Post-Graduate and Research Matters of the Faculty.